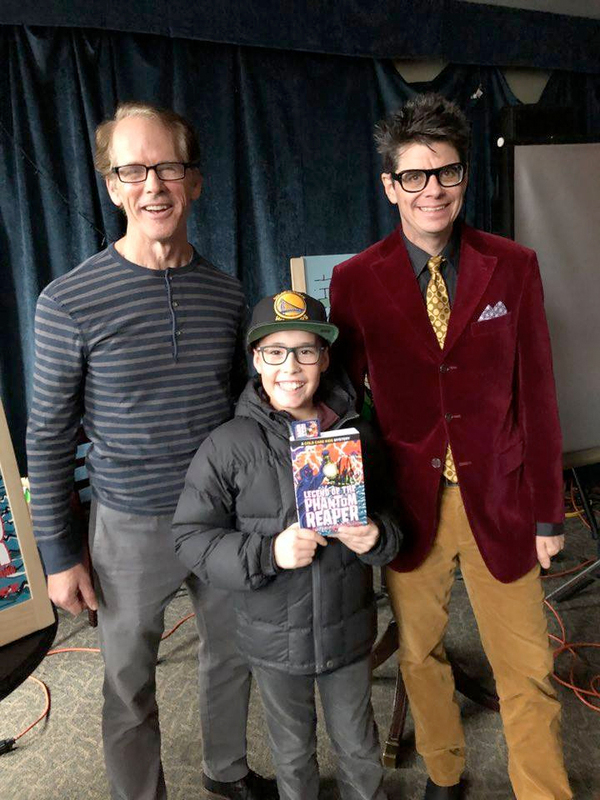 Author Doug Archer and illustrator Rob Elliott with happy reader Jesse. Tranzac Club book launch, November 2018. Author Doug Archer and myself launched our book Legend of the Phantom Reaper – The Mystery of the Southampton Shipwrecks at Toronto’s Tranzac Club last weekend. 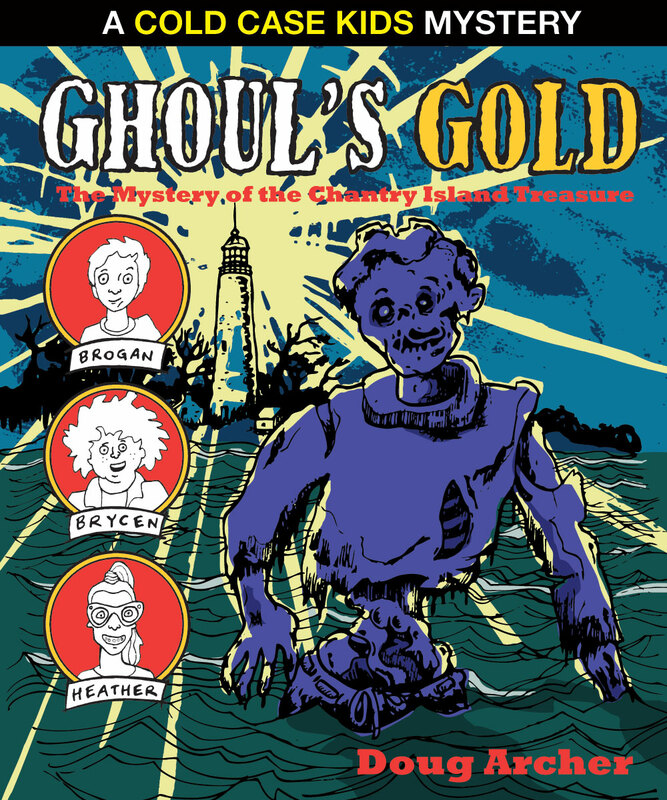 This is the second book in the Cold Case Kids Mystery series, the follow up to the hit Ghoul’s Gold – The Mystery of the Chantry Island Treasure. We had a great time doing a reading followed by a slide show about the illustrations. 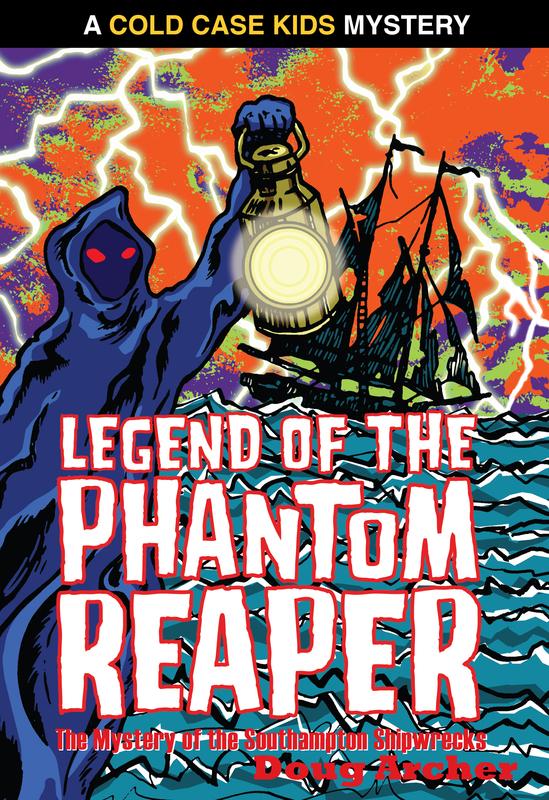 Legend of The Phantom Reaper is available on Amazon. 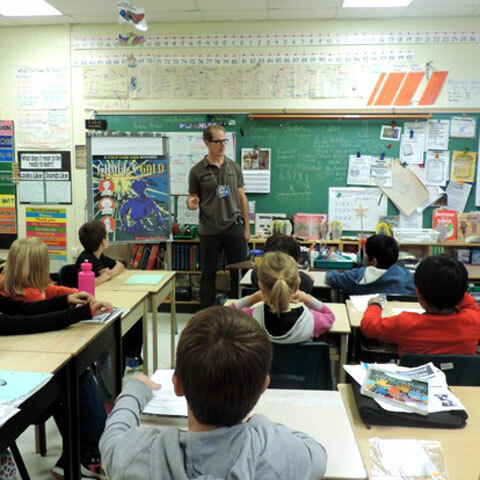 I’m working with author Doug Archer on a children’s mystery novel set in small town Ontario. Ghoul’s Gold is the first of a planned series of books featuring the Cold Case Kids. The book features a pre-teen zombie, and is set around the imposing “Imperial lighthouse” on Chantry Island (across the bay from Southampton). I will be producing the book jacket, several full-page plates, plus some spot illustrations peppered throughout the text. This is a pretty great job – children’s book illustration has always been a big influence on my work, so I’ve had a perfect excuse to spend time cribbing from my shelves of old school primers and comic books. I lived in Kincardine, not far from Southampton, for seven years, so the novel’s locations are familiar to me. Maybe I can finagle a lighthouse tour out of this gig! 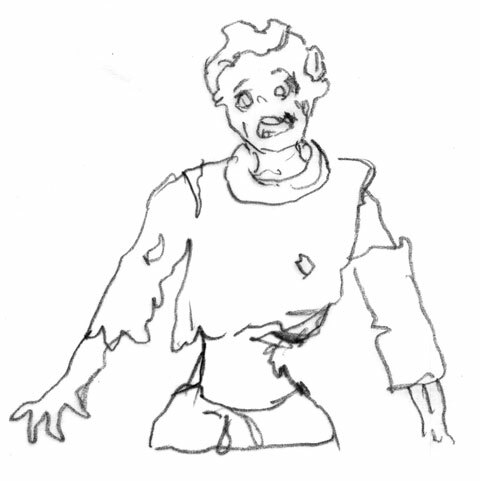 For Angus in zombie form can the hole in his left cheek be slightly more pronounced? I talk about this feature a fair bit in the book, so I think the students will be looking for it. Also, I talk in the book about parts of his stomach having rotted away — in fact, the Cold Case Kids can see inside his torso because the flesh has rotted away to some degree. Can this be factored into the picture? The Ghoul’s Gold project is going to take at least a year (off and on), and I will be proving technical assistance in getting the book to press as well.